2) missing opportunities to deliver consultancy that adds true value to the businesses of clients. What’s available to help the growing business is limited and inappropriate for the real needs of the client. Recent surveys and reports confirm that consulting firms and the business support industry as a whole are failing to deliver what growing entrepreneurial businesses really need. FACT: the guru-based model of expert advice may not give the client what the client really needs. The recent fad for guru-based, personality-based consulting firms may have now peaked. There are now many, probably too many, so-called gurus. Or at least too many people claiming to be or being accredited as gurus. While years ago there were successful-business-folk-turned-gurus, today there are salesmen-turned-gurus. By adopting Americanised direct marketing and presentational practices, they have become predators on the ignorant and unwary. This loss of quality and the growth in quantity has been exacerbated by the recession-driven burgeoning of the coaches market: thousands of coaches offering competitively-priced (=cheap?) services to low grade companies with little growth potential. All of this has devalued ‘guruship’, especially in the eyes of prime, middle market directors. While accepting that the principles promoted by many gurus are well-founded and well-presented, the results achieved for most companies are not sustainable. Too many gurus offer too-good-to-be-true silver bullets. However, it needs to be said that there are routes to success, that there are some certainties of outcome, that there are methodologies to be adopted, and strategies to be identified, which do work, and these can be implemented by many client companies. The get-rich-quick-quick, too-good-to-be-true propositions ‘work’ for those clients who are ignorant, inexperienced, desperate, or all three. However, it does not resonate with experienced business people (the middle market); they know they need help, but they don’t believe in miracles. It is no surprise then that the vast majority of guru fodder are companies that are very small (or very large). Most business books and their authors attempt to provide recipes for challenges that have no recipes. There is rarely a recipe for a really complicated, dynamic situation. And most situations are not straightforward. The hard thing about hard things is that there is no formula for dealing with them (Horowitz, 2014). QUESTION: Is there a middle ground? A third way? Between the synthetic siren calls of the gurus and the laden drones of certain academics lies a sweet spot that can really appeal to experienced business people. It combines the practical methodologies of the gurus with the intelligent, analytical skills of the academics. It promises results – but neither miracles nor degrees. It is neither quick nor slow, cheap nor expensive. Here is one version of what is going on. This is perfectly simple: guru/coaching is how-to. It isn’t where, when, how, who, how much, or with what result. It does not address the real problems most small/new businesses have. The smaller clients do not know what direction they should be going in – or are not sure about it; their biggest challenge is therefore strategic (where they should be going) and not tactical (how they should get there). How-to gurus/coaches help clients get further down the road they are on. And faster. They don’t usually do more than cursorily check if that is the right or best road for that particular business in its market, or with its management strengths and weaknesses. While gurus/coaches are happy to work (metaphorically) for a good dinner, heavyweight management consultants want signature rights to your bank account. Where gurus/coaches work from the inside (and rarely see the big wide world), management consultants start on the outside, and work their way in. They say they can’t talk about your business without understanding the world and local economies, your market, its trends, its leaders, its dynamics. Then they need to understand your company inside out – interviews, research, etc with staff, then all over again with clients, suppliers, etc. Then they need to work out the strategy for your business. Then how to implement that strategy. Then they need to hold your hand while you do it. This is big ticket, big commitment. Big companies often know that much of this big ticket consulting business school shenanigans is nonsense; meanwhile they know they need to be seen to be doing it by shareholders and stakeholders. That’s how it all works. Medium-sized companies – say from £1 to £50 million turnover – don’t have the need, luxury, patience or profits to justify that approach. Neither the guru/coach nor big management consultancy approach works for them. SO what’s in the middle… for the middle…? What will work for the medium-sized business? Well, something which does not have the dictatorial basis of either gurus or management consultancies. Something that is more collaborative and participative. Something that is more respectful of the client’s own experience, expertise and achievements - and is more enduring. Something that is a two-way process: each party has something to give - and something to take. We live and work in a peer-to-peer era where knowledge, the right facts, is ubiquitous; and often it is free, or low cost. We also live in an era where ‘wisdom’, knowing the right answer, or the right thing to do, is as rare, valuable and valued as ever; indeed, more so in a complex world with many choices, and many wrong paths to go down. Most of us no longer believe (if we ever did) that one person – one guru – has all the right answers all of the time. Most don’t believe that ‘wisdom’ is equally and identically applicable to all situations, all companies, all markets, all of the time. Most believe in bespoke solutions requiring specific, not just generalised, ‘wisdom’. Most business plans, and all business how-to providers, tend to be quantitatively focused: they talk numbers, KPIs, money, money, money. And of course they are right to start there – no money, no business. Where they are wrong is stopping there – failing to take a business on to bigger, better things. It could be argued that the trouble with these entrepreneurial gurus is that they lack real ambition for the businesses they work with. Many owner-directors not only want to achieve more profits, they can achieve more than that, much more. What they want, what they lack, is a bigger picture. This is not about even more profit or even more staff (although it might be); it is more about what it is that directors are trying to create and achieve with their businesses. This nebulous aspiration is best encapsulated in the Greek work, eudaimonia. Eudaimonia (literally, from the Greek meaning wellness or good spirit) is perhaps best translated as ‘human flourishing’, and by implication is all about achieving the best possible balance of financial, physical and moral well-being. In a phrase, getting the best out life and work: what we want for ourselves, fellow owner-directors (and most shareholders) and for the company. Consequently, it has wider perspectives than pure maximisation of profit. …but not building it only on financial performance. Respecting that sustainable corporate success requires a great brand, great products, great people, loyal customers, and an ongoing investment in development. In practice, very small businesses (let’s say under £1m turnover or have under £100,000 net profit) are owned and run by owner-managers, who cannot but work inthe business day in, day out. By contrast, owner-directors largely work on their business, while still working in it. Their role is more strategic and wide – and their businesses are usually well-established with a functionally defined staff, and a brand (not just a business). Their businesses have a turnover in excess of £1m and up to £50m, and a £500,000 net profit potential. Experienced owner-directors don’t believe in miracles, or the efficacy of quick fixes. They don’t believe in simple formulae for business success, and they tend not to believe in ‘gurus’. They tend to have a justifiably high opinion of themselves mixed with real-world, enforced humility. They think they have some – but not all – of the answers. They know they have done many things right, and failed with many others. They understandably don’t want to be preached to, nor have their experience and expertise ignored, or undervalued. They want heterarchy (a system of organisation where the elements are unranked) not hierarchy. They want to work in a peer-to-peer manner with mutual respect. Almost everything about the ‘guru’ approach is wrong for them – and it irritates them. Owner-directors don’t want and don’t believe the MBA In A Day proposition. They probably don’t believe in MBAs, and certainly don’t believe you can learn that much in a day. They see it as marketing nonsense that lacks credibility – and consequently doubt the value of anyone who promotes such a thing. 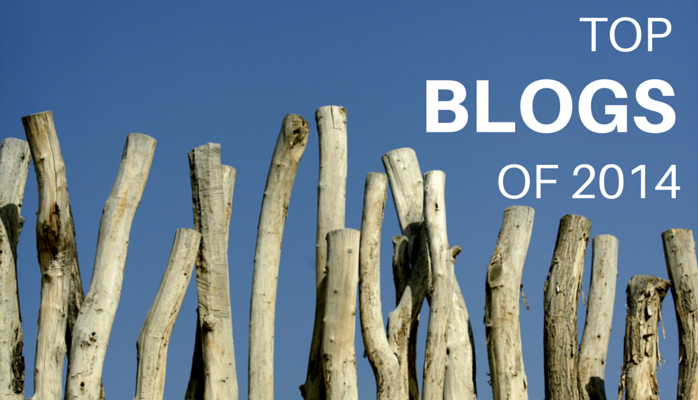 Owner-directors don’t believe that their business can be, or needs to be, transformed. They want improvement, not revolution, and they know that improvement is as much to do with how their business operates as anything related to direction or strategy. They are highly suspicious of ‘consultants’, especially those who offer high-level strategy without pragmatic implementation, and equally of those of the short-sharp-shock school of thinking. They are looking for evolution: performance improvement over time, fitness in changing markets. I have simply identified what seem to be the real needs of a large number of owner-directors. There is a gap between what the clients want and what the suppliers are delivering. It will be the generation of suppliers who understand the real needs of their clients that will prosper in the future. However, because of the expert nature of the business support industry (“I am the expert, I know best. Let me help you”), so trends have tended to be driven by the supply side, the consultants and not by the clients themselves. Basically, consultants are giving clients what they, the consultants, think the clients need. 79% of consultants believe they deliver an exceptional customer service. But only 16% of their clients agree. That’s a service delivery gap of 66%. (Mind the Consultancy Gap Survey, 2014). Behind these figures lies the fact that clients want something different from what is being offered and delivered. It is time for the consultancy industry to wake up and smell the coffee! 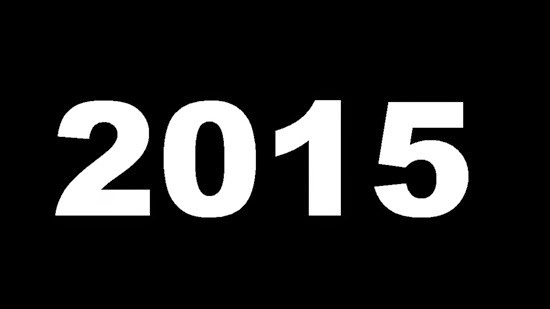 2015 predictions: all about more and less! · We will want everything faster but we will want things slower. There will be an increased sensitivity that will seek to differentiate between the authentic and genuine as opposed to the manufactured, synthetic, superficial and fake: food, TV, music, people, etc. The bankers and the politicians and the media will still be the same. The importance of love, the family and laughter will still be the same! According to Mashable 2012 was "the year we exhaust social media." Or should it have been 2013! Well it doesn't seem to have happened in 2014 so maybe in 2015??? I don't think that social media is dead ("deceased, no more" as in Monty Python) but as Mashable say, we are exhausted. Social/digital Exhaustion could become next year's catch phrase. I think the light bulb moment happens when you employ people and they appear to be playing on social media (while you are paying them to do so). On the one hand, we have the social media zealots grabbing at the next new best thing universal antidote. On the other hand, we have the incredibly lazy marketing habits of the old school agencies (see Why Marketing is a load of B******s!) simply spending more in a naive attempt to interrupt and buy people's attention. - a brilliant system (fast, quick, vast, cheap) to reach out and find and explore and share with others. - not enough time to do it all so a need for clear guidelines, prioritisation and time management!!! But all of the above is obvious!!! Or is Social Media just a red herring? - What exactly are you saying that is interesting? - Is it worthy of attention? - Is it clear and helping other to understand what you do? - And how can you help? I Am Not An SME, You Patronising ***! What Do Event Planners Look For In A Speaker? Humans Need Not Apply is a 2014 short internet documentary film, directed, produced, written, and edited by CGP Grey. The film focuses on the future of the integration of automation into economics, as well as the worldwide workforce. Grey released the film online through YouTube. This video is really thought-provoking about the future of work, Not for future generations but for the younger generation. it asks some tough questions. It is compelling viewing. Bruce Kasanoff of Forbes commented that the video was "sobering," and "suggests, in a convincing fashion, that many human jobs will disappear over the coming years, because automation will do them faster, better, and cheaper." 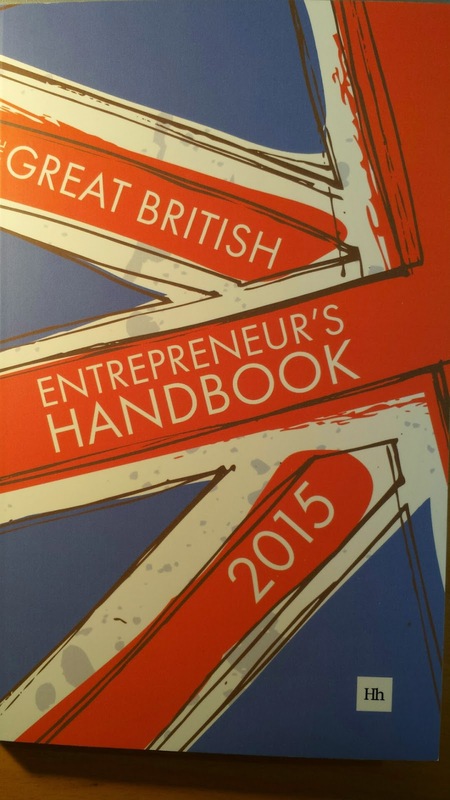 Delighted that I am a featured contributor in the brand new Great British Entrepreneur's Handbook 2015 - It is currently available as a print edition (£12.99) or on Kindle (free) from Amazon. The business development needs of small and large businesses seem to be catered for by coaches and big-ticket consultancies respectively. However, the market is failing to satisfy the needs of the directors of medium-sized businesses. The Great British Entrepreneur's Handbook 2015 shares the secrets of experienced entrepreneurs on everything from how to tell your business' story compellingly to the secrets of growing a business to the next level. With wit and wisdom, the personalities behind some of the leading firms and bestselling business books of today guide budding entrepreneurs through all the highs and lows of what it takes to be a business success. 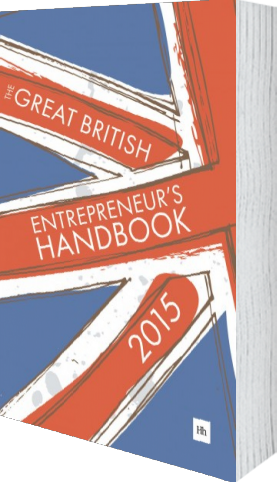 Check out the brand new Great British Entrepreneur's Handbook 2015 - It is currently available as a print edition (£12.99) on Kindle (free) from Amazon. I implore that you watch the video above. Then the brief notes below will make sense. Sinek has developed what he calls the "Golden Circle,"
Why - the core belief of the business. It's why the business exists. How - how the business fulfills that core belief. What - what the company does to fulfill that core belief. Sinek found that most companies do their marketing backwards. They start with their "what" and then move to "how" they do it.